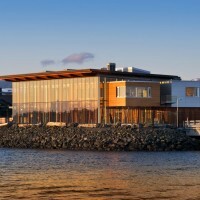 Checkwitch Poiron Architects have designed a new building to greet passengers at the cruise ship terminal in Nanaimo, BC, Canada. 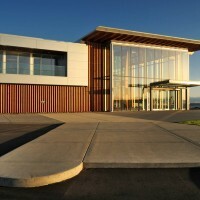 A new 13,700 sf cruise ship terminal building, this signature facility set a new standard for buildings in Nanaimo, BC, Canada. 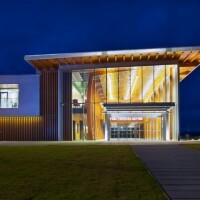 Situated on the edge of the Nanaimo Assembly Wharf, it contains a large welcome centre/multi-purpose hall, facilities for the Canadian Border Services Agency and offices for the Nanaimo Port Authority. 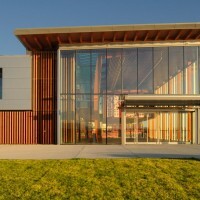 The building was designed and constructed in 12 months. 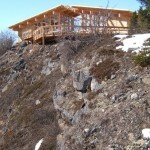 The building site was formerly used for the processing and storage of the wood products that were the lifeblood for the region. 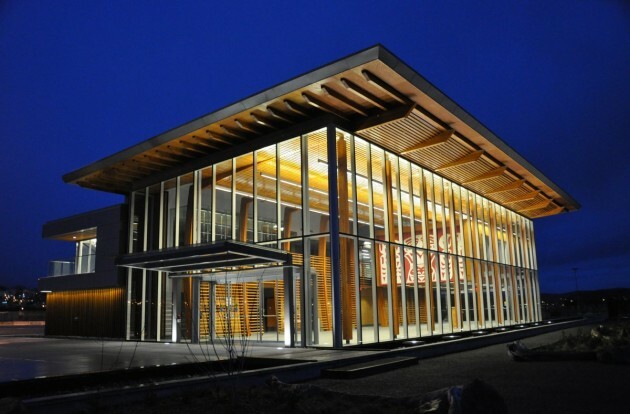 A connection is made to the past by employing a variety of wood products including large curved glulam columns and beams, interior and exterior wood screens, and stratified timber panels. 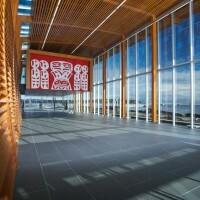 These materials echo the region’s rich natural resource and make the main hall reminiscent of a giant ship’s hull. 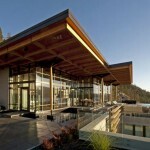 Large glass walls open up the hall to panoramic views of the Nanaimo harbour. 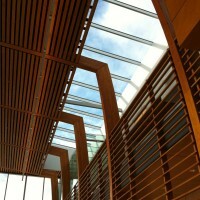 The building employs as a passive solar scheme, where sunlight enters through the extensive glazing, warms the stone floor and heat is slowly released and circulated before exiting through louvers at the top of the building. 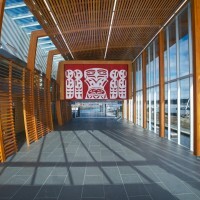 Working with a local artist, Noel Brown, a custom artwork was commissioned and printed onto a large roll-screen. 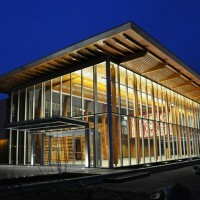 This screen can be raised or lowered to alter the configuration of the main hall. 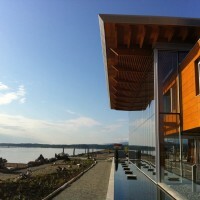 A native plant garden, designed by landscape architect Nancy Mackin, is positioned between the building and the water’s edge. 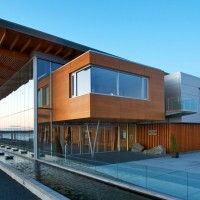 Light bounces off a linear water feature and is reflected up into the main hall. 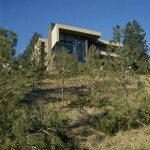 Visit the website of Checkwitch Poiron Architects – here.